Highland Park invites on a journey in one of the Nine Worlds of Nordic Mythology with this Ice Edition, a release of 30 000 bottles. Highland Park invites on a journey in one of the Nine Worlds of Nordic Mythology with this Ice Edition, a release of 30 000 bottles. This new expression is a continuation to the Valhalla collection and its drakkar-shaped cases. The Orkney distillery is today paying an homage to the iceworld of Niflheim, a shady world where flows Élivágar, the river that created the world and its source Hvergelmir. Packed in a splendid glass jar of blue colour and rocky shape evoking the pure, cold ice, this 17 year-old Single Malt has been enclosed in an oaky case inspired from the amazing mountain range of the North. The Celtic Circle featured on the bottle reminds of the Circle of Life and the beginning of the world, protected by a snake, the mythical creature at the heart of the Nordic mythology. A spectacular ensemble. Mainly refined in first fill Bourbon barrels, Highland Park 17 Years Old Ice Edition is a rich and powerful whisky at 53.9° ABV, in the line of the whisky releases, bursting with vanilla and floral, fruity and peaty notes. Limited quantities - 1 bottle per order. Nose: bursting with lively notes of vanilla, fresh pinneaple, sorbet of red fruits, mangoes, smoky notes and ginger notes. 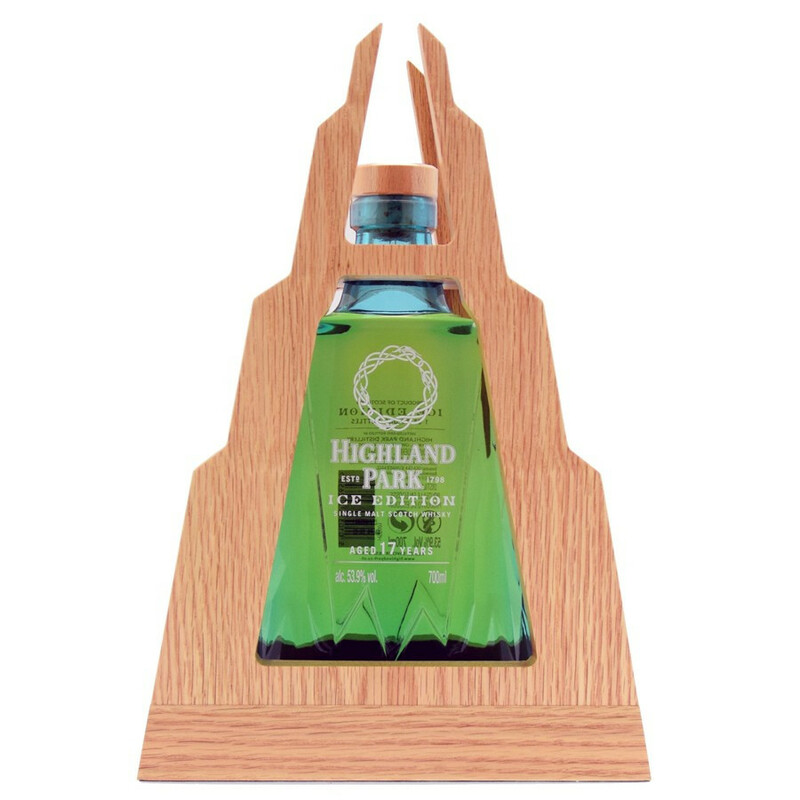 Palate: powerful and honeyed body in the Highland Park style with a bountiful combination of peat, vanilla, forest fruits, citrus and floral notes. Finale: perfectly balanced, creamy and rich. A long-lasting finale with harmonious spicy notes.